In May 2018, the European Commission proposed a new regulation on CO2 emissions performance standards for heavy-duty vehicles designed to bring more fuel efficient vehicles to the market and encourage greater uptake of alternative fuels and powertrains, including natural gas and electricity. The regulation aims to reduce fuel consumption, dependency on oil, and consequently, CO2 emissions. This is the first time that the EU will have CO2 standards in place for trucks (standards already exist for cars and vans). During the initial phase, the standards will apply to four categories of trucks, representing 65 – 70% of the market. During subsequent phases, the regulation will also be extended to other categories of trucks as well as to buses, coaches and trailers. 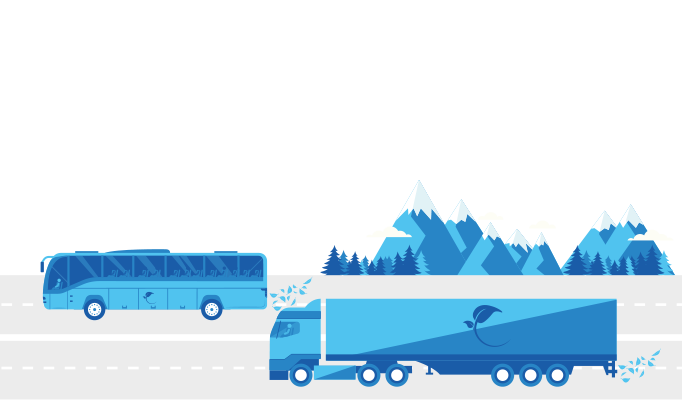 While IRU welcomes the European Commission’s proposal as one important measure to help the heavy-duty road transport sector decarbonise, it calls for these standards to be based on technological feasibility and commercial viability. The European Commission has proposed target levels of 15% for 2025 and 30% as an aspirational target for 2030, with the possibility to review that figure in 2022.Targets are based on the number of vehicles sold. Certain vocational vehicles will be exempt from the provisions of the regulation, including garbage trucks and construction lorries. Targets to make vehicles more fuel efficient are in transport operators’ interests since reducing CO2 also means reducing fuel costs. However, if the target levels are set too high and manufacturers are forced to make investment decisions that are not cost-effective, operators with limited financial resources may suffer due to higher vehicle prices. The proposed standards would have the impact of pushing manufacturers to invest in supposedly “zero-emission” electrification technology. The 2025 target is ambitious but achievable through the uptake of existing technology. However, the 2030 target will require alternative powertrains to combustion engines. While electrification is a good solution for vehicles and operations conducted at the regional or urban level, it is unfeasible for long-haul vehicles with higher range and payload requirements. There is a risk that overly ambitious standards could shift investment away from internal combustion engine vehicles to smaller, less efficient vehicles which are easier to electrify. This would ultimately lead to greater congestion and more CO2 emissions. 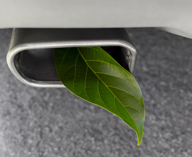 The proposed standards also risk introducing an approach that is not technology neutral since, under the proposed regulation, only CO2 emitted at the tailpipe of the vehicle will be measured. 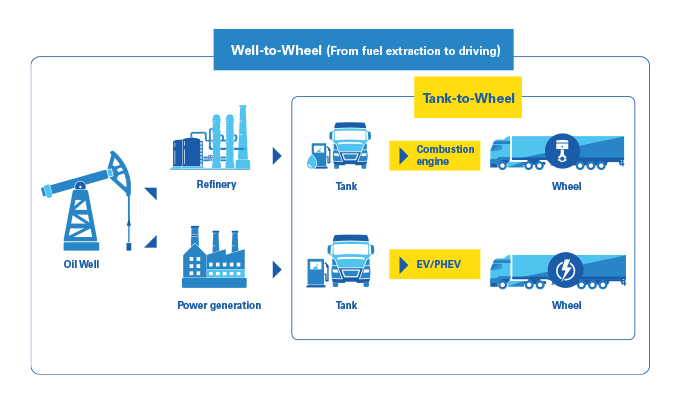 This “Tank-to-Wheel” approach is appropriate for assessing the fuel efficiency profile of the vehicle itself but does not recognise the overall carbon footprint of the fuel used by the vehicle. A better approach would be “Well-to-Wheel” which also takes into account the emissions produced or offset during fuel production. The current “Tank-to-Wheel” approach does not recognise the role of carbon neutral bio- and synthetic fuels, which can be blended with liquid and gaseous fuels (CNG, LNG and diesel) in internal combustion engines, and therefore risks not incentivising manufacturers to produce those types of vehicle. The proposed regulation includes incentives for manufacturers to invest in zero- and low-emission technology by offering them extra credits for producing vehicles using such technologies, which can subsequently be deducted from their overall target. These incentives are capped at 3% to ensure that the target level is not reduced too far. 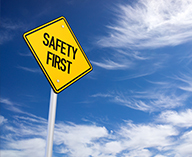 Other vehicles, such as buses and large vans, can also gain extra credits (capped at 1.5%). However, buses and large vans are already more likely to be equipped with advanced electrification technology and have a higher market demand. Their inclusion in the scope of the super-credit system thus risks concentrating investment in these vehicles at the expense of improving more difficult market segments, such as long-haul vehicles. Giving manufacturers the flexibility to meet the targets in the most cost-effective way possible will help keep vehicles in line with market demand, but it should not have the effect of shifting investment away from average-sized vehicles to smaller, less efficient ones. The present definition of a low-emission vehicle is not realistic since only electric vehicles are able to fulfil the criteria, and only based on a “Tank-to-Wheel” approach. A more realistic definition, including the potential role of combustion technology, is therefore needed.